The Fair Debt Collection Practices Act is designed to protect you from receiving inappropriate, offensive treatment or threats from collection agencies that may contact you when you fall behind on paying your credit card balances, car loans and other bills. While your creditors certainly have the right to the money you owe – and debt collectors have the right to call you and request payment – this statute makes it illegal for them to use any type of intimidation tactics and trickery to get you to pay. 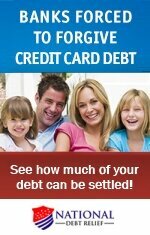 The Fair Debt Collection Practices Act is enforced by the Federal Trade Commission, which is the country’s consumer protection agency. Debt collection agencies are not the only organizations that must abide by this Act. You are also protected from unfair practices by collection attorneys, a creditors' in-house representatives, and other entities who regularly work to collect on delinquent accounts. 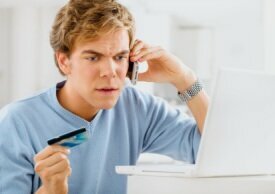 If a debt collector calls you, go ahead and speak with him or her to try to resolve your situation. Be courteous and forthright about your situation. If you believe you are being contacted by mistake, say so. Within five days of speaking with the debt collector, you will receive a "validation notice" that details information about the debt and how to proceed with payment. You can request that the debt collector not call you again and, within 30 days, follow that up in writing with a certified letter detailing your request. This formal request must be honored, unless the collector has new evidence of money you owe. Yet, this does not free you from the responsibility of paying. Even though you have requested not to be contacted, the creditor can still take legal action to recover the money you owe. If you have a problem with a debt collector, you can report it to your state’s Attorney General’s Office and the Federal Trade Commission. Be aware that many states have their own debt collection laws that may vary from the Fair Debt Collection Practices Act. In addition, if you believe that your legal rights have been violated, you can sue the debt collector within one year of the occurrence. You must prove in court that you suffered damages from the illegal practices. Examples of damage include medical expenses or lost employment that are directly attributed to the debt collector’s actions. It's important to note that even though you may be awarded damages by a judge if you win your case, you are still liable for the original debt about which the collector was contacting you. Debt Relief Grant: Fact or Fiction?